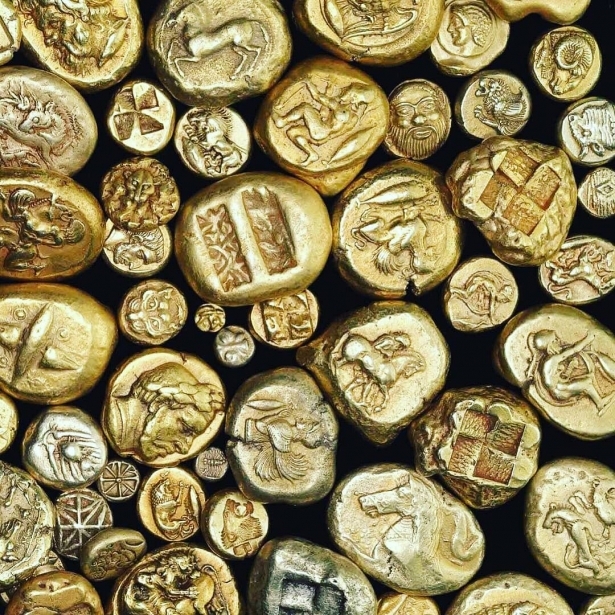 Gold is often involved in curious interesting stories, riddles and legends. Today we will share the most stunning with you! 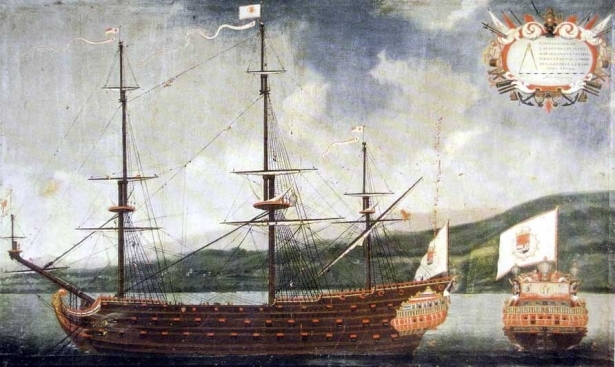 Sailors who crossed the equator were entitled to wear a gold earring in the left ear. 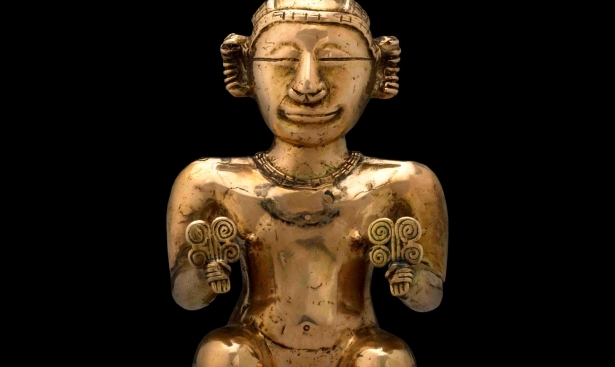 If a sea wolf managed to skirt Cape Horn, he was awarded with a gold earring featuring the images of the cape and the Southern Cross constellation. 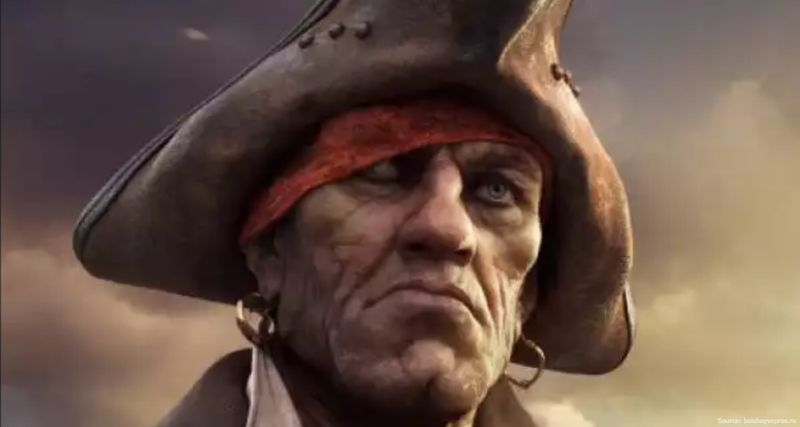 It is also believed that a gold earring served another purpose: having sold it after the death of a sailor, his friends or strangers who found the body could arrange a decent funeral. 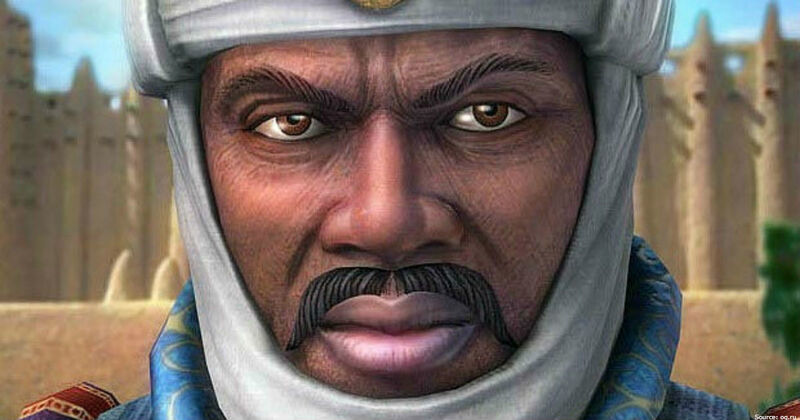 Mansa Musa was the most famous ruler of Mali, a landlocked country in West Africa. The time of his reign is considered the heyday of the Malian empire. One of the reasons for the wide popularity of Mansa Musa is his Hajj to Mecca in 1324. Musa's suite numbered 80 thousand people, and the road treasury could boast with tons of gold. The king of the Keith dynasty was not stingy at all: he gave away plenty of his wealth to the poor in Cairo and used to make very expensive gifts. All this contributed to the fall in the value of gold, which took Egypt 12 years to rebuild the economy and stabilize prices. 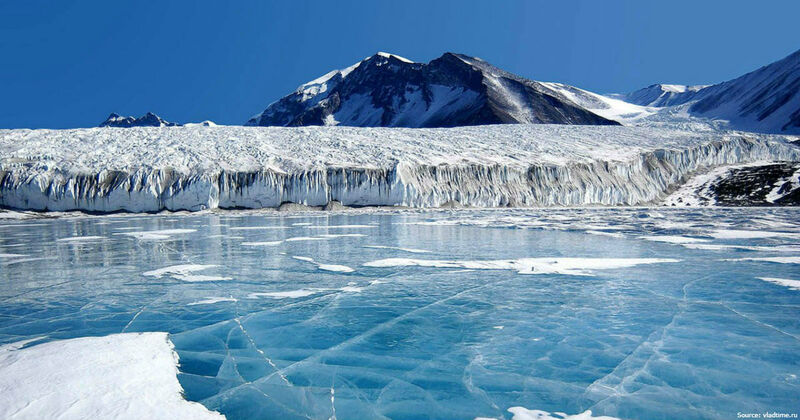 Russian scientists discovered real gold in the depth of Lake Vostok. Water samples taken from 4,000 meters showed the concentration of gold ions in them reaching 80%. Scientists claim to have found a real "gold" fish in the lake whose scales were covered with a layer of the yellow metal dissolved in water. It has been scientifically proven that eucalyptus leaves can contain gold. 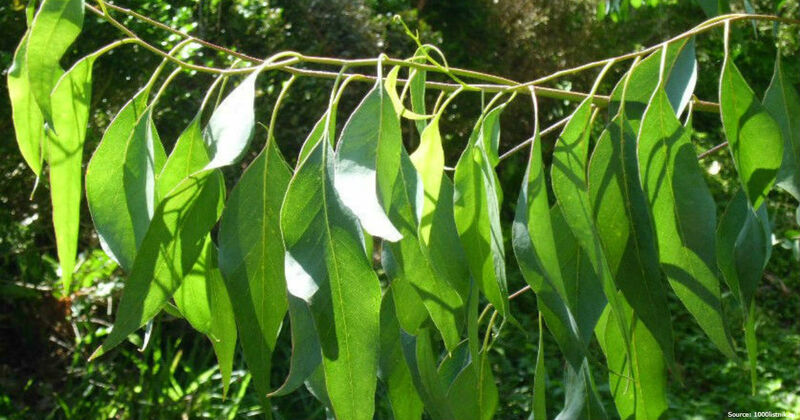 Specialists at the Australian Commonwealth Scientific and Industrial Research Organization confirmed that this valuable metal can be found in eucalyptus leaves if trees have their roots going as deep as 30 m where precious metals deposits are present. 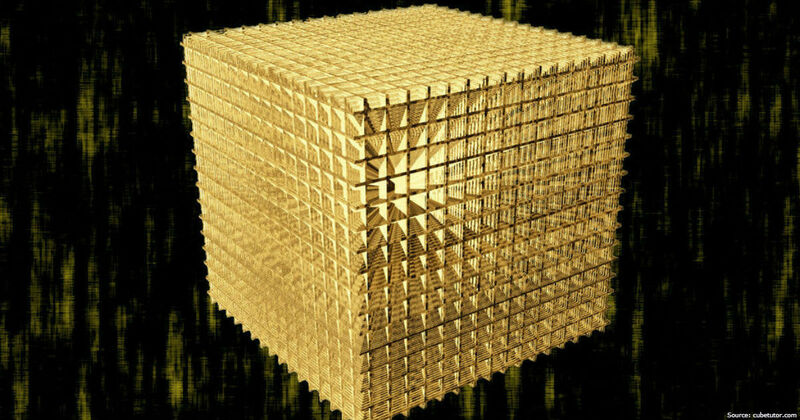 If all the gold ever mined in the world was melted, it could form a cube with 20-meter sides weighing more than 175,000 tons. Newly mined gold would increase the cube’s sides by 11 cm a year. India ranks first in the world in terms of gold consumption. 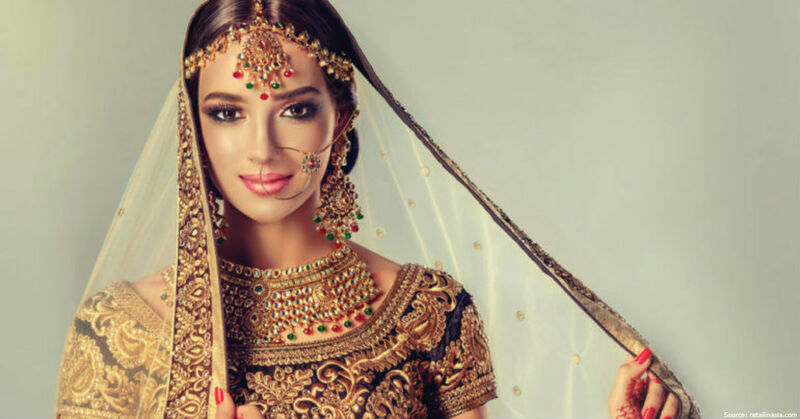 Indian housewives own 18,000 tons of gold, which are estimated at $329 billion. For comparison, the all world reserves equal to $950 billion. “Frozen Haute Chocolate” is the most expensive ice cream in the world. It costs $25,000 and consists of 28 unique varieties of cocoa beans from around the globe. 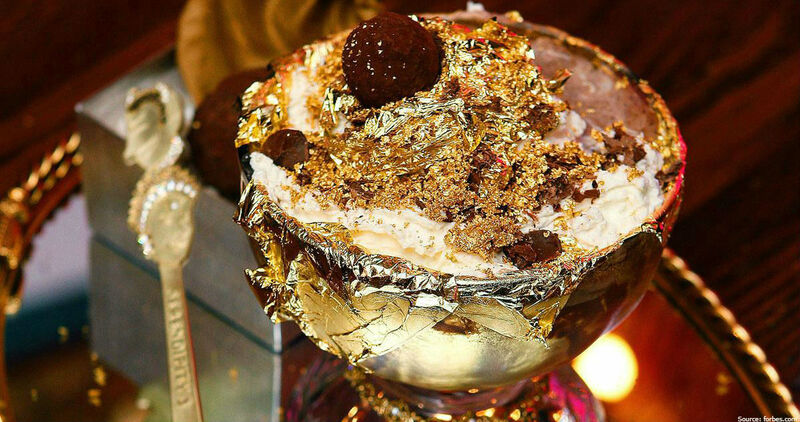 This culinary masterpiece is topped with 5 grams of 23-karat edible gold. The goblet and the dessert spoon used to serve the ice cream are also decorated with gold. By the way, the buyer can take along these precious appliances as he or she finishes enjoying this luxury treat. The Olympic Charter prescribes the rules for awarding athletes and the standards the Olympic medals must match. The 1st place assumes a 925 silver medal covered with 6 grams of gold. The diameter may differ, but its weight should not be less than 6 grams. The medals at the Olympic Games 2012 in London were the biggest in the history: 394 grams of silver and 6 grams of gold. 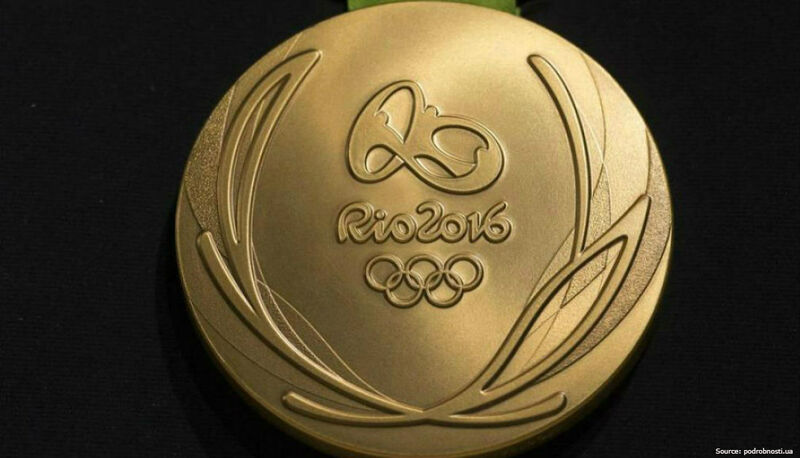 The medals for the Olympics 2016 in Rio de Janeiro reached a record of 500 grams, although their face value dropped by 12% compared to the London’s ones.. In just one minute you can buy gold bars in weights from 1 to 28.4 grams in an ATM at the Emirates Palace Hotel in Abu Dhabi. 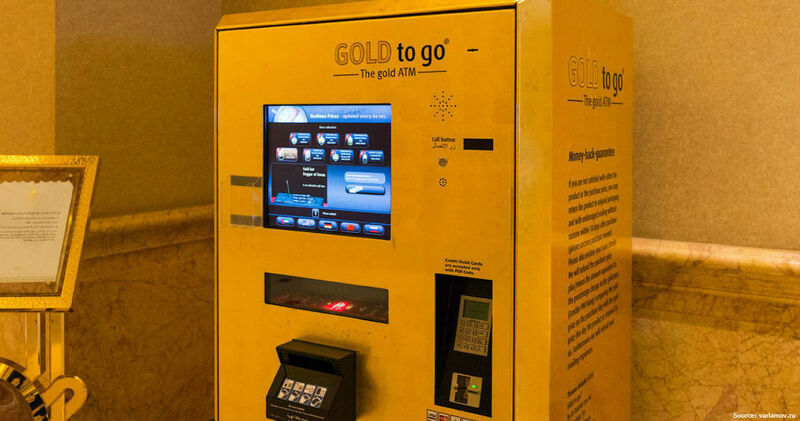 This golden ATM equipped with 4-cm thick armor was created by the German TG Gold-Super-Markt company. Its ‘twin-brother’ is located in Beijing where anyone can purchase even larger gold bars, weighing up to 2.5 kg. 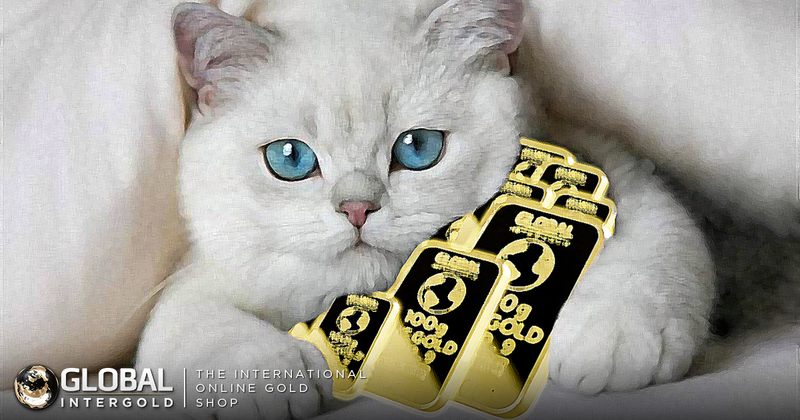 Do you want to know it all about gold?